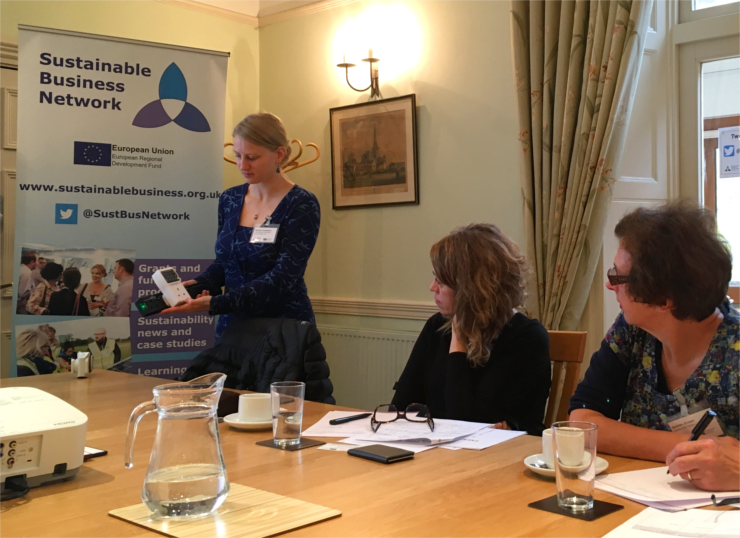 The Sustainable Business Partnership CIC welcomed delegates to Chichester for an Energy Saving Workshop. These workshops are practical, interactive sessions in which attendees learn how to take control of their organisation’s energy use. They are delivered as part of the Utilise Plus programme, which helps small and medium sized enterprises to reduce their costs by saving energy. 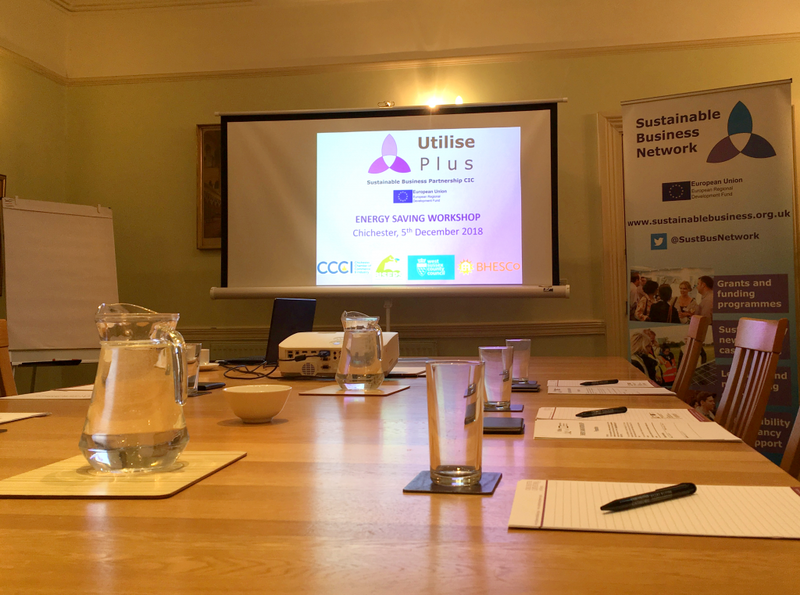 SBP CIC’s Jack Dale introduced the session by giving an overview of the various services on offer through Utilise Plus, from grants and energy audits, to networking events and educational workshops. Jack then handed over to Kayla Ente of BHESCo, who delivered the workshop. Kayla outlined the numerous benefits of saving energy, such as helping the environment, saving money, and boosting an organisation’s ‘green credentials’. Delegates identified a number of barriers in their own organisations which prevent them from making these savings, including difficulties with getting other staff members on board and needing to keep machinery at a specific temperature. With a combination of group discussions and individual exercises, delegates created their own, unique Action Plans tailored to their organisations’ needs. Solar energy proved to be a popular talking point throughout the workshop, with delegates keen to find out more about capacity and understanding the difference it makes to their bills. The Sustainable Business Partnership CIC will follow up with delegates and help them implement these actions. This event was held in partnership with West Sussex County Council, BISEPS, and Chichester Chamber of Commerce. At the Sustainable Business Partnership CIC, we always want to hear from enthusiastic event partners, passionate speakers, and interesting venues. If you’d like to work with us then please get in touch.